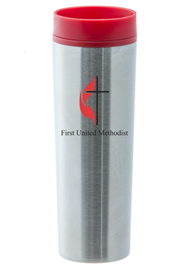 Promotional Stainless Stell out Travel Tumbler. 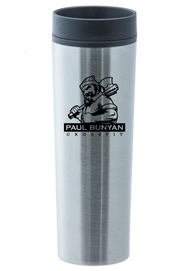 Inner wall is BPA free Polypropylene. 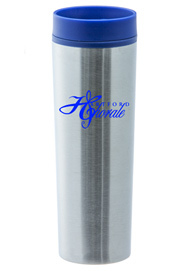 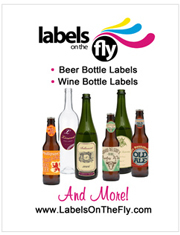 Comes in a generous 16 oz size with tight fitting push on lid with twist closure. 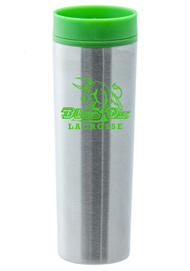 Fits in most car cup holders and will keep your morning brew warm for the entire commute.